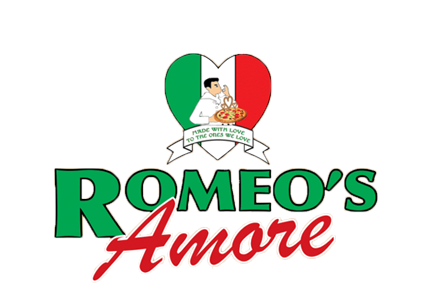 Online ordering menu for Romeo's Amore Pizza & Ristorante. Try one of our signature pizzas here at Romeo's Amore Pizza & Ristorante such as the Bruchetta Pizza, Hawaiian Pizza, or the Tomato Pie Pizza! We also serve Burgers, Wraps, Paninis, Stomboli, and more! Find us near the corner of Walnut Road and Delsea Drive. We're not far from the South Vineland Disc Golf Course and the Delsea Drive-In Theatre. Order online for carryout or delivery!